This is why people need to pay more attention to their teeth! 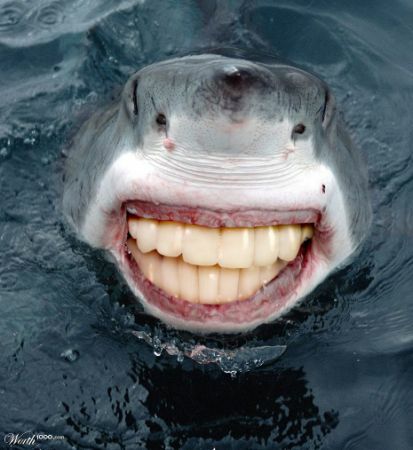 Doesn’t this man-eating shark look friendly? Jaws never seemed so congenial. Same goes for the other well-known “Jaws”. With the right look, you can even make a friendly creature appear menacing – click here. Have a great day! Worth1000.com is the ultimate site for creative contests. Check out their website for more fun! © Property of Worth1000.com. All rights reserved.